What the movie lacks in smarts it tends to make up for in science fiction spectacle. Although I didn’t care for the storyline, I was drawn in by the action and a few of the film’s characters. Matt Damon heads up the cast as Max, a lowly worker on Earth who has nothing to lose after a work accident gives him little time to live. Using an exoskeleton for strength, Max makes it his mission to change things by leading a group to infiltrate Elysium and use their health care machines. Protecting the wealthy is Secretary Delacourt (Jodie Foster), who hires bounty hunters to kill Max, led by an enormously entertaining Sharlto Copley (District 9). 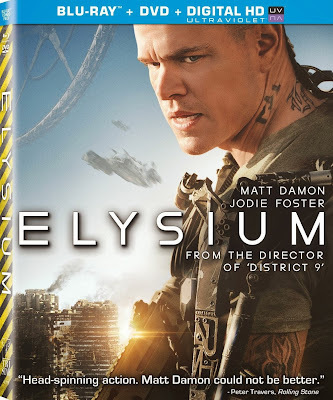 The Blu-ray release of Elysium offers the high definition presentation mastered in 4K, along with a DVD and digital copy of the film. 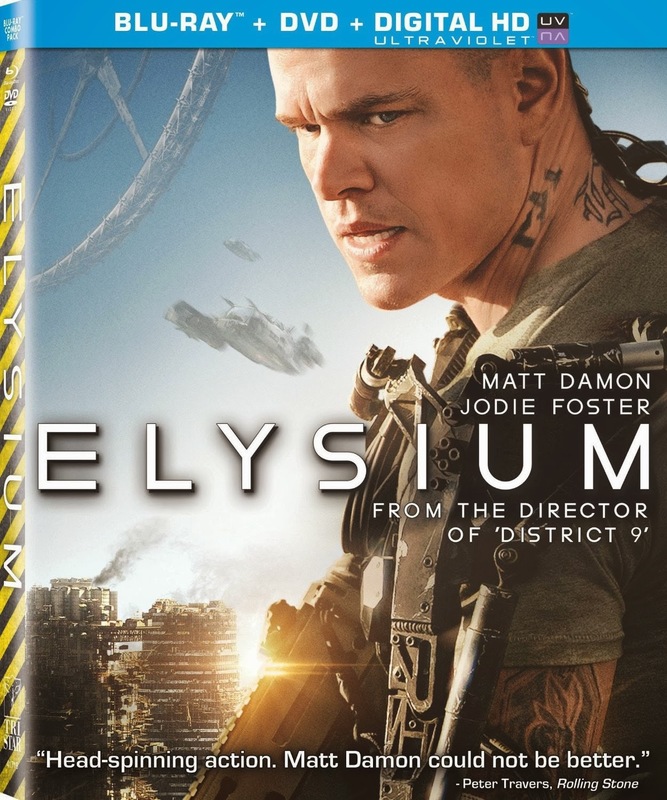 Exclusive to the Blu-ray is an interactive exploration of the art and design in the film, along with a series of featurettes about the space station Elysium. There is also a featurette about the visual effects and the technology of the future world, as well as an extended scene. Included on the DVD are just two more featurettes, which are also included in the Blu-ray features.